The EVO Road Barrier is a fully interlocking barrier system which is produced from UV stabilised prime polyethylene and can be water or sand filled. 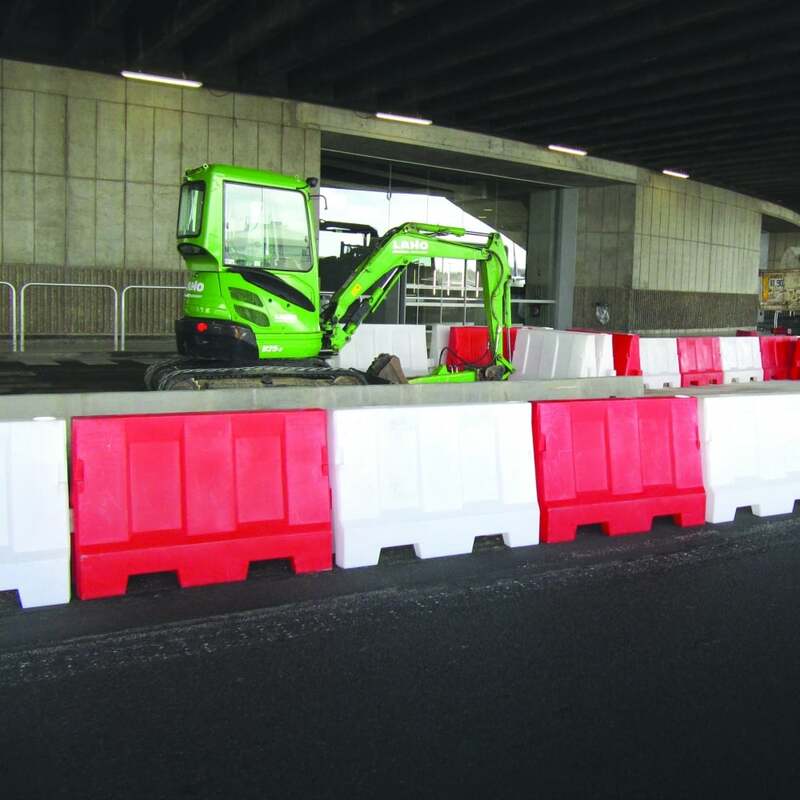 The barrier is available in three different sizes which can be used together giving a fully versatile traffic barrier system. Creating a continuous solid wall, the barrier can be topped with mesh fencing. It is fully stackable for ease of transport and storage and has been ‘Wind Load’ tested to resist speeds of up to 55mph.